The model companies have made not only trains and boats and planes, plus cars and tanks and the odd rocket, but also a wide variety of, shall we say, somewhat ‘different’ subject matter. One favourite has been the ‘engine’ itself, whether it's a car engine, aircraft engine or, in Airfix’s case, early engines that powered the Industrial Revolution. 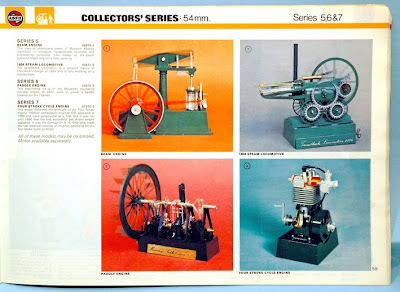 The first release in the 1970s Airfix ‘Museum Models’ range (later the ‘Collector’s Series’) was a Beam Engine, followed by the 1804 Trevithick Steam Locomotive, then a Paddle Steamer and Four Stroke engines were added. 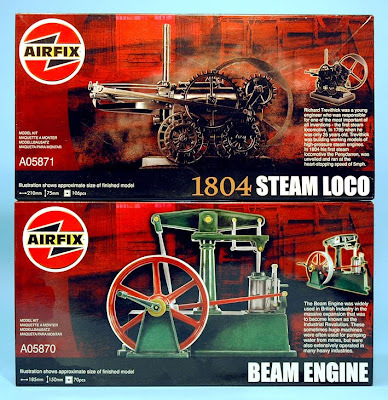 And now Airfix has reissued two of them, the Beam Engine and Trevithick’s Loco. Presented in Airfix’s new-style boxes, the kits remain more or less as they were three decades ago, except that mention of potential motorization has been removed. This may leave modellers scratching their heads as to what the extra ‘mystery’ parts are for, and this isn’t exactly helped with the Trevithick especially, as the first instruction is an error - it has been reproduced from the Beam Engine plan. But once you’ve got over that, construction is straightforward enough. The tooling has mostly survived the decades well (not always the case with old kits) and the moving parts still work, albeit with a bit of care. The finishing colour appears to be optional. One scheme is the all-black that appears on the box and on most replicas, but this does give a somewhat sombre look. My build was finished in the optional dark green, with a black funnel. 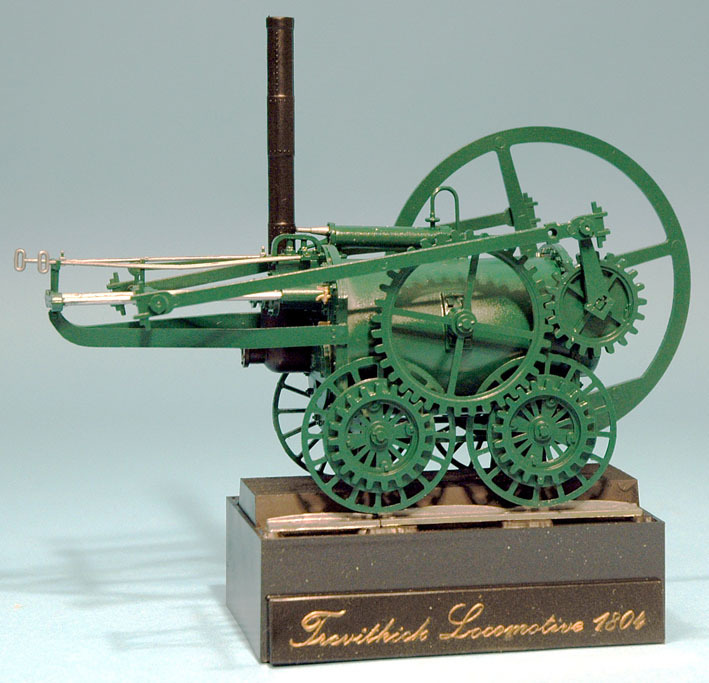 The Trevithick comes with a neat display base, which originally held the motorization components. Scale isn’t mentioned on the kit itself, but the Airfix website lists it at 1:32, which seems about right. At present it’s uncertain if the other two kits in the range will be reissued. 1 Boxes for the Steam Loco and Beam Engine. 2 Trevithick’s locomotive in green and black finish. 3 Page from the 1976 Airfix 13th catalogue, showing all four Museum Models. These models are available from model stores and online suppliers, including Amazon here.